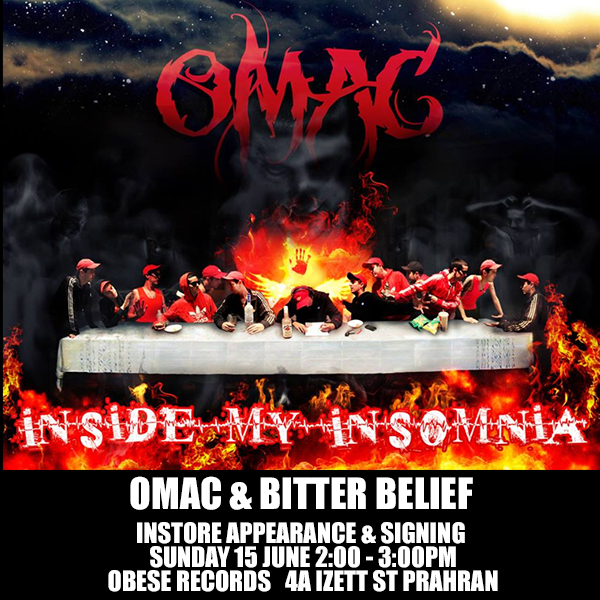 Omac of The Psych Ward crew has wasted no time since entering the local scene in Perth. He has released numerous mix-tapes and free music online, as well as performing at dozens of memorable shows over the last few years. Omac has opened for international hip hop acts such as Jeru the Damaja, Naughty By Nature, Obie Trice, Hopsin and Masta Ace. 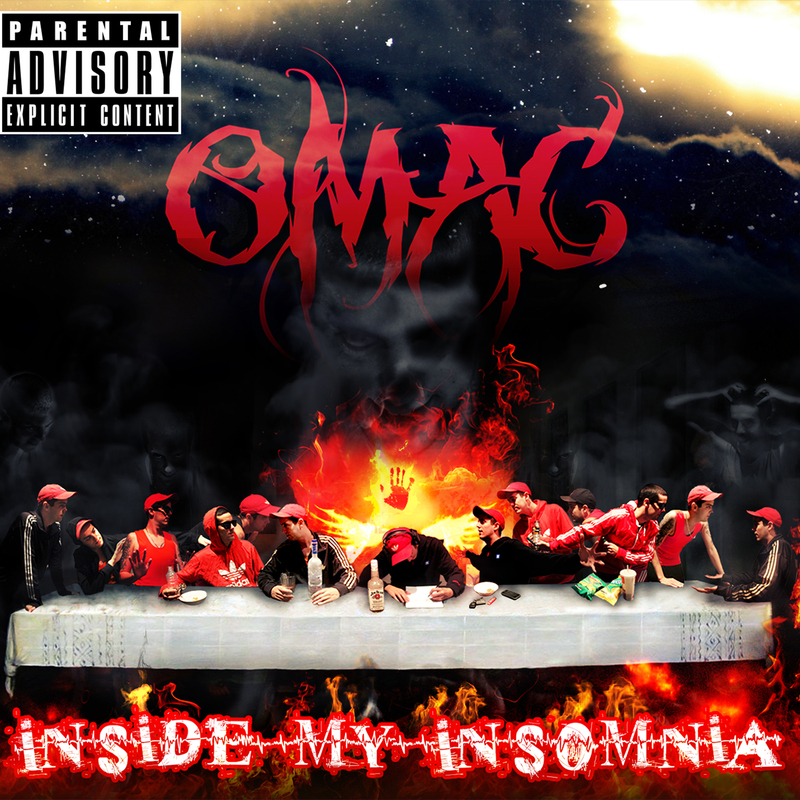 Twice touring nationally as a support to Kerser, Omac is now preparing for his own national tour for the 2nd part of 2014 to showcase debut album Inside My Insomnia. The 16 track album is produced by Rob Shaker and is blessed with beats from the likes of WA’s finest in Dazastah, Rights, Raiz, MX Axis, Cortext, Paulie P, Optamus, and Creed Birch. Feature artists include the legendary Layla, Bitter Belief, Complete, Deezy, Monique, Polaroid & M.O.C.